Successful negotiating requires a strong level of assertiveness, but also empathy. Courage, but also strong nerves. A little bit of luck, but also a good mentor. Negotiating skills are rarely taught at university or school but are most definitely a part of everyday life, be it with your business partners, work council, employees or your own team. I will sit at the table for you, to create the best result for you and your company. Either I work as a ghost negotiator exclusively for your side protecting you and creating strategies together with the negotiating team. Or I moderate your negotiation for both sides meaning I manage the communication between both parties. The goal: to reach a consensus. and a balanced collaboration is possible. Through a negotiation training or with me there on your behalf, you will make the positive experience of reaching your goal and people will notice that. As a result, you will look forward to your next negotiation with improved confidence. That was the case with me, which is why I specialised in that field. Sie hören in Kürze von uns. Mihai Isman has an extensive expertise in negotiations. Both, his knowledge of appropriate models and theories as well as his hands-on experience have made the negotiation training particularly valuable for me. 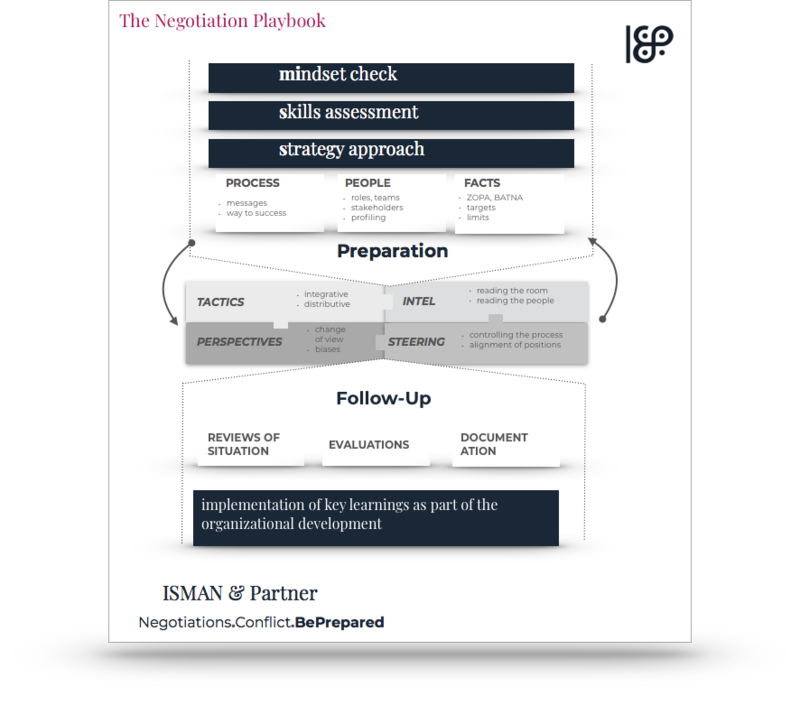 It helped me to uncover my negotiation weaknesses and further develop my skills.